A hundred years ago, the two became one, but today, Montenegro and Serbia are two separate nations. And always when there’s separation involved, there must be some negative feelings. Luckily, in the case of these two, there were no wars like in the case of other Ex-Yugoslav republics. But, there might be a war on the pitch on Tuesday evening when these two teams meet for the first time in history. Montenegro and Serbia are in Group 4 of League C of the UEFA Nations League. If you’re not familiar with this new format, this competition is basically created to make football more interesting. Instead of pitting David against Goliath, Nations League makes teams of similar strength play one another. And in such games, the outcome is always difficult to predict. Nevertheless, I’ll try my best in this Montenegro vs Serbia match preview. This match is gonna take place at the Stadion Pod Goricom, a 15k-seater situated in the capital of Montenegro, Podgorica. Even though it’s small, you can be sure that there’s going to be a lot of noise coming from the stands. But, whose supporters will be louder? There’s a significant percentage of Montenegro citizens who consider themselves to be ethnic Serbs, so it won’t be a surprise if they come to support the away team. Of course, the hosts will also get their support, there’s no doubt about it. There were 5000 people supporting them in the match with Lithuania in the first round of the Nations League, which they won comfortably 2:0. One of the scorers in that match was Stefan Savic, who is this team’s vice-captain and one of their best players. This guy has real pedigree, having played for big names like Manchester City and Fiorentina in his career. Even today, the center-back is playing at an illustrious club, Atletico Madrid, although he’s not getting too much playing time - this season, he’s played only three matches. To be fair, he was suspended in early September, after which he got injured, which is why he didn’t have too many opportunities to play. Savic is the man Montenegro hope will stop Serbia’s forwards, while the man who’ll lead the charge toward Serbia’s goal is Stevan Jovetic. The Montenegro captain is their top scorer with 24 goals to his name. He currently plays for Monaco as a backup player and has featured in only two games so far this season in Ligue 1. But, this doesn’t mean he’s not good enough for Monaco. It’s just that his place has been taken by the legendary Falcao. A peculiar thing about Montenegro’s key men is that both Savic and Jovetic had launched their careers skywards while playing for Partizan, a team from Serbia’s capital Belgrade. Another interesting thing about these guys is that both of them are struggling with fitness and it’s not yet 100% sure whether they’ll take part in Thursday’s game or not. 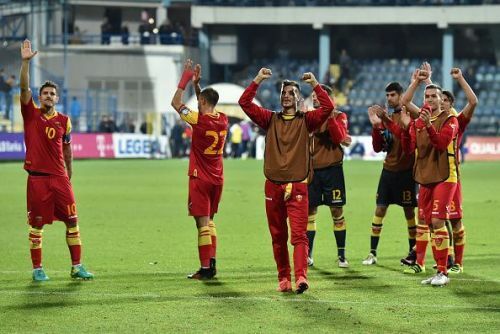 Seven players from the Montenegro squad currently play in Serbian clubs. And a few more have started their careers in the neighboring country. This may mean that the Serbs know all the strengths and the weaknesses of Montenegro players. But, even if they had absolutely no idea what to expect from Montenegro, Serbia would still be favorites in this game. The reason is simple really – Serbia have better players. These are the guys that played at the World Cup this summer, unlike the other three teams from the Group 4 of League C. In fact, Serbia is the best-ranking team from the entire League C.